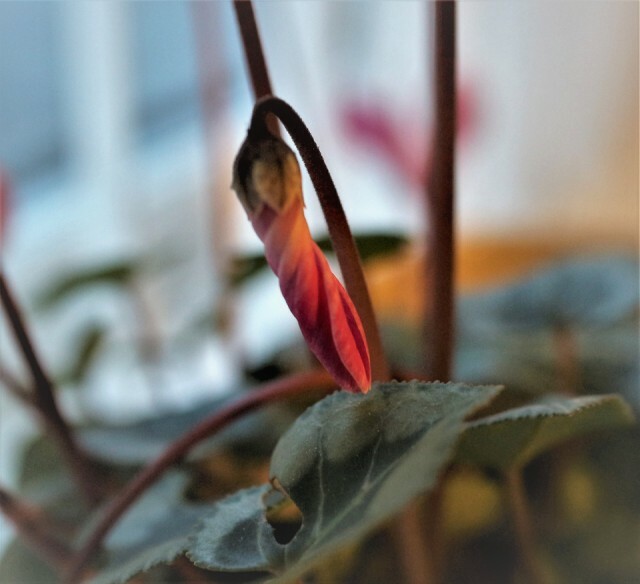 A tiny Cyclamen bud for Tiny Tuesday This is from a pot on the living room windowsill. I love the way the buds twist around themselves, then over the days slowly uncurl. Thank you to JDO for hosting this month.